Now that America is undergoing a blitzkrieg of reforms that are sending the Khazarians in panic, will the Eurozone be the Global Reformists’ next focus? Recent actions of the International Monetary Fund, the US and British regulators against the largest German bank, i.e. Deutsche Bank, and the integrity of the euro and the Eurozone itself, all suggest that the planned shutdown of the Khazarian EU project continues undeterred. 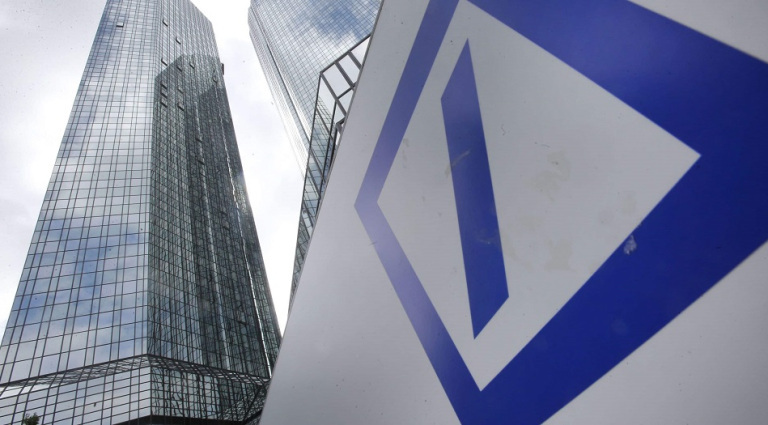 NEW YORK/FRANKFURT Deutsche Bank (DBKGn.DE) has agreed to pay $630 million in fines for organizing $10 billion in sham trades that could have been used to launder money out of Russia, the latest in a string of penalties that have hammered the German lender’s finances. The scheme involved so-called mirror trades carried out between 2011 to 2015 – for instance, buying Russian stocks in rubles for a client and selling the identical value of a security for U.S. dollars for a related customer. “I have a billion ruble today … will you be able to find a security for this size,” the watchdog cited one party to a deal as telling a Deutsche Bank trader in Moscow. It said the scheme – in which the parties involved often lost money on the trades due to fees and commissions – could have been used for money laundering. While U.S. and British regulators – which fined Deutsche $425 million and $204 million respectively – penalized the bank for not having adequate controls, they did not say top management was aware of the improper nature of the trades. The fines – which comes weeks after a $7.2 billion U.S. penalty for the sale of toxic mortgage debt – marks another step in Deutsche Chief Executive John Cryan’s attempts to draw a line under the bank’s misdeeds in the wake of the financial crisis, as it sought to carve and then keep a foothold on Wall Street. The euro was introduced to be the common currency within the EU and its 19 members have been struggling to maintain confidence in is since the start of the sovereign debt crisis of 2009. Put simply: a number of members have been struggling to repay or finance their government debt, largely because of increased public spending and slow growth. However, the IMF has pointed to deeper problems within the Eurozone. Its latest report says many countries are running “excessive deficits” — spending more than they are earning — and one of the biggest challenges to the eurozone “are rooted in distorted political incentives” at both national and Eurozone levels. One of the central principles of the Stability and Growth Pact (SGP) is that countries must not run an annual budget deficit — the difference between its income and its spending each year — of more than three percent of its GDP. Both Spain and Portugal are in breach of the SGP, triggering the warning from the Commission, which should have imposed fines on both countries for breaking the rules of the common currency, but declined to over fears it would drive up anti-EU sentiment in both countries. Taken together with the woes over the Greek third bailout — the subject itself of disagreement between the IMF and the Eurozone — the breaches are a further sign of the dysfunctionality of the single currency, because of a north-south divide in the economies of the member states. For the SGP to work, all euro member states must have similar fiscal policies and economic cycles — which they patently don’t have. At the height of the sovereign debt crisis of 2008-9, Greece, Portugal, Ireland, Spain and Cyprus were unable to repay or refinance their government debt or to bail out over-indebted banks without the assistance of third parties like other Eurozone countries, the European Central Bank (ECB), or the IMF — otherwise known as the Troika. One of the fundamental issues of sovereign debt crisis is that — previously, when the countries all had their own currencies — the governments would have devalued the currency to recover the situation. With a shared currency, they were unable to adopt that course of action. The IMF also says that oversight of the Eurozone is too complicated and political. The responsibility for enforcement is shared between the European Commission and the Economic and Financial Affairs Council (ECOFIN) — the finance ministers of the Eurozone. The European Commission has the right and duty to monitor implementation of the SGP without having full power to take action in cases of noncompliance because ECOFIN has the final word on monitoring and enforcement decisions, the report says. “This incomplete separation of powers between the two entities has long been seen as a weakness of the SGP for at least two reasons. First, the ECOFIN gathers officials responsible to their own countries’ constituencies and with the mandate of advancing national interests. As a result, some have argued that the enforcement of the SGP has not been evenhanded, with preferential treatment granted to larger countries holding more voting rights. Specifically pointing out the two culprits, i.e. bankers and politicians, the regulators are effectively saying that the European Union project, as it was designed by the Khazars, must go as it forces the population to bite the “austerity” bullet every time there’s a financial crisis of their own making, just to keep the bankers afloat. To make matters worse for the bankers, Donald Trump is expected to appoint an EU ambassador who advocates for the shorting of the euro as the EU currency could fail within the next 18 months. What this all means is a continuation of the battle royale between Donald Trump and Angela Merkel, who was one of those who actively interfered with the last US elections. Leaders and top officials from the UK, Germany, and France have “grossly interfered” in US internal affairs, “campaigned” for Hillary Clinton, and openly “demonized” Donald Trump, Russian Foreign Minister Sergey Lavrov said. Speaking at a press conference following a meeting with Austrian counterpart Sebastian Kurz, Lavrov said Moscow “is tired” of accusations it meddled in the US election. 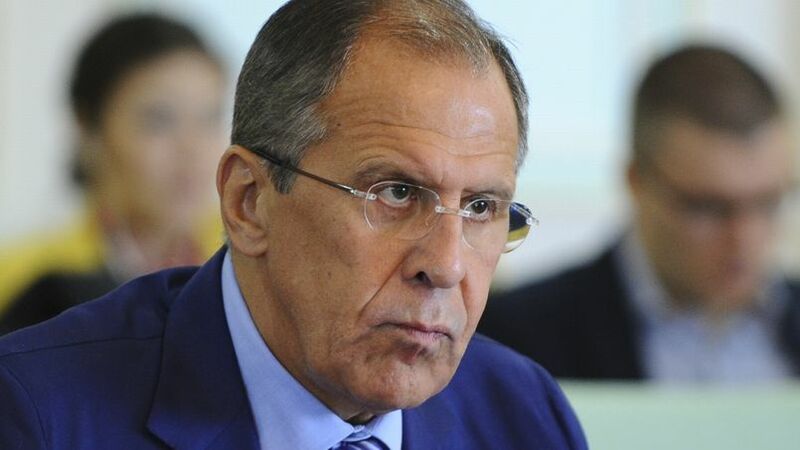 In fact, Lavrov said, it is time to “acknowledge the fact” that it was the other way around. “US allies have grossly interfered in America’s internal affairs, in the election campaign,” Lavrov said. “We noticed that Angela Merkel, Francois Hollande, Theresa May, and other European leaders” did so. He added that official representatives of some of the European countries did not mince words, and essentially “demonized” Donald Trump during the election campaign. Since the money laundering penalties levied against Deuthsbank involved an attack of the Russian currency, Vladimir Putin could enter the fray (the Russian government is obviously supplying the critical data necessary for indictment), for whom Merkel’s intelligence chief is already attending to. 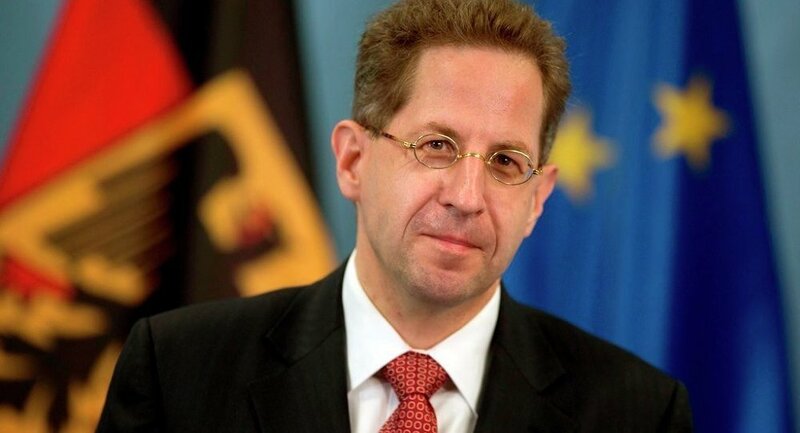 Head of Berlin’s BfV intelligence agency, Hans-Georg Maassen, condemned the Kremlin for increasing its “operations” against the German Chancellor and other government figures. The surveillance chief, who raised similar concerns about Moscow efforts to interfere in German elections last month, said he expected further cyber attacks from Vladimir Putin’sintelligence agencies. Knowing that the German bank is too interconnected with other big banks, it’s understandable that whatever Trump does, bankers and media need to oppose. 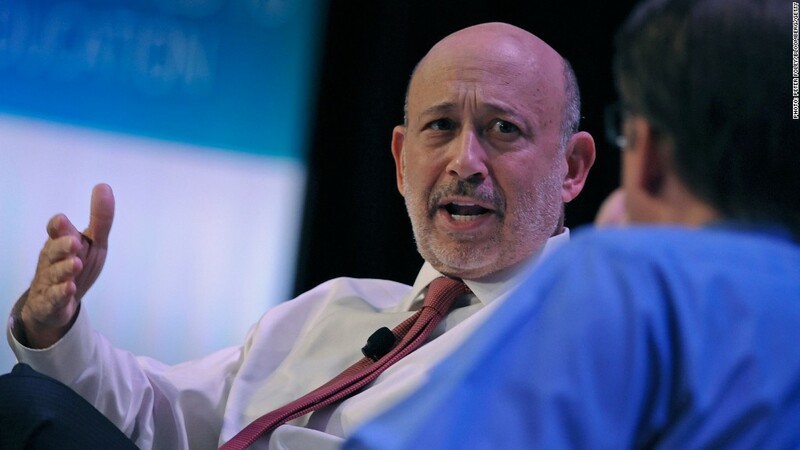 Goldman Sachs CEO Lloyd Blankfein told employees that President Donald Trump’s order to halt arrivals from seven Muslim-majority countries was not a policy the bank endorsed, according to a source familiar with the matter. “This is not a policy we support, and I would note that it has already been challenged in federal court, and some of the order has been enjoined at least temporarily,” Blankfein told employees in a voicemail on Sunday. Blankfein said Goldman Sachs would work to minimize potential disruptions to employees and their families caused by Trump’s order, according to a transcript seen by Reuters. Most U.S. corporate bosses have stayed silent on Trump’s immigration curbs, underscoring the sensitivities around opposing policies that could provoke a backlash from the White House. While Apple, Alphabet Inc’s Google and Facebook emailed their staff to denounce the order, many of their counterparts in other industries either declined to comment or responded with company statements reiterating their commitment to diversity. It’s now pretty obvious that, as the Reformist Collective gained the participation of the unorthodox Donald Trump, the once covert hybrid WW3 is now nearing its climax as both sides of the Atlantic will be run by populist leaderships that the Khazarians are not so happy about. It is highly anticipated that one more departure, e.g. Frexit, and the whole one-currency bloc is history. The global criminal syndicate may have stashed some of their loot in industrialized China, and elsewhere, to save them for the rainy days, it doesn’t mean that the same game that they been playing will not be used against them, when necessary. In fact, what amuses knowledgeable Asians is the inability of the Western oligarchs to play the same game, follow the same rules, that the latter themselves have set forth, a long time ago. This is the main reason why the Eastern Alliance must regain control, as it has systematically done so, of the global economy. There will be changes because we all want to leave this planet a lot better than we’ve found it, for the sake of the next generation. We can help bring down the Khazarian Mafia by defunding their Fake Healthcare System earning $4 trillion annually, and supporting the fake news media networks which promote terrorism and regime change around the world. 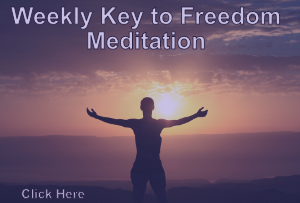 Find out how you can have your own Comprehensive Antiviral System, and start enjoying healthcare freedom today. Beautiful picture of a father and his daughter. That’s how it should be and for all fathers in the world. Thanks for the real story. Interesting to see Merkel and her father. Funny how this major detail went over the heads of the German people.